The Macomb County Department of Planning & Economic Development is developing a new initiative to support green infrastructure efforts that strengthen the economic vitality, quality of life, and environmental wellbeing for those visiting, living, and working in Macomb County. Green Macomb is creating diverse partnerships with local municipalities, businesses, private residents, and nonprofit organizations in order to coalesce individual efforts into strategic actions and solutions that enhance our region’s land and water resources. The first project of the Green Macomb initiative is the Green Macomb Urban Forest Partnership, which will build local capacity to manage and grow healthy urban forests in the most urbanized areas of the county.  Launched by County Executive Mark Hackel, Macomb County’s Blue Economy Initiative is designed to protect and enhance Macomb County assets Lake St. Clair and the Clinton River Watershed. Its objectives are to increase public access and cultivate investment while maintaining high standards for environmental stewardship. Funded by the United States Geological Survey (USGS), the Michigan Department of Natural Resources (MDNR) will conduct a creel census on Lake St. Clair this summer to evaluate the health of the fishery and measure the environmental and economic impact of fishing. More than $4 million in grants were awarded from the National Oceanic and Atmospheric Administration and the Environmental Protection Agency (EPA) to the Clinton River Spillway Habitat Restoration project to improve fish spawning habitat and reduce phosphorus and sediment. The EPA awarded $2.3 million to the Partridge Creek Commons Habitat Restoration project to restore the Gloede Drain and diversify habitat on a former golf course. Green Macomb, an urban forestry project funded by the U.S. Forestry Service through the Michigan DNR and ITC Holdings, will implement a regional policy to target tree canopy increases in the county’s most mature neighborhoods. The Macomb/St. Clair Cooperative Invasive Species Management Area is being developed to eliminate phragmite colonies in the townships of Washington, Shelby, Chesterfield and Harrison. New Baltimore will receive a Michigan Trust Fund grant of $2.85 million to purchase and redevelop Schmid Marina. Chesterfield Township will develop the Wayne and Joan Webber Paddle Park to intersect the countywide network of trails and coastal paddling routes. The Spillway Boat Launch near Crocker Boulevard and Jefferson Avenue on Lake St. Clair in Harrison Township will be enhanced and offer contiguous greenway to downtown Mount Clemens. The Michigan Sea Grant’s Small Harbors program is helping New Baltimore create a new vision for its walkable downtown resulting in new investment and interest. Located near the newer paddle park in Utica on the Clinton River, the recently opened Jimmy John’s Field is already infusing new activity into the city’s historic downtown, bolstering greater paddling activity in the Clinton River. The Nautical Mile in St. Clair Shores is shoring up placemaking activities combined with environmental stewardship to boost this iconic shopping and entertainment district. MCPED will partner with the Lake St. Clair Tourism Initiative to launch the Southeast Michigan Bootlegger Festival in October. Selfridge Air National Guard Base recently invested $2.6 million to build a traffic turnaround and $32.6 million for a new jet fuel storage and delivery system. The base will celebrate its 100th anniversary next year with an air show featuring the Air Force Thunderbirds. Funding from the Wayne and Joan Webber Foundation helped Chesterfield Township to purchase an outdated marina so that it can be developed as an Intracoastal Paddling Park with close connections to both the Salt River Marsh and Coastal Lake St. Clair. Wayne State University officially opened a field station within the HEART Freshwater Center at Lake St. Clair Metropark. Funding from ITC Holdings helped to install three new paddle launch parks along the Clinton River in downtown Utica, Sterling Heights and Clinton Township. The finals for the Bassmaster Elite series will return to Lake St. Clair and be televised in front of 1.5 billion households worldwide. The Lake St. Clair Tourism Initiative and the popular “Circle the Lake” tour continues to grow outside of Macomb County. New communities include the Grosse Pointes, St. Clair County Anchor Bay communities and the Southwest Ontario tourism boards. The Water Resources Advisory Council, a group of subject matter experts representing various agencies, continues to provide counsel to Hackel on both current and long-term matters. Funding from Michigan’s Coastal Zone Management Program helped to create a new vision for a lakefront intersection in Harrison Township with input from residents and businesses. The City of New Baltimore is actively engaged in pursuing opportunities to enhance their coastal downtown and harbors. Lake St. Clair represents one of the most significant recreational waterways in North America. The Lake St. Clair Tourism Initiative is a public/private, non-proﬁt association created to increase awareness, protect, and develop the rich and diverse assets on and around this fresh water community. The focus of the Initiative includes educating and connecting new and existing visitors about the many experiences offered by Lake St. Clair and the surrounding culture, businesses, and communities. The Initiative provides an umbrella of organizational, communications and advocacy support for existing merchants and business associations and the individual users of the lake. The LSCTI was created to develop and promote a long term vision and plan for the continued and sustainable development of Lake St. Clair and its assets. 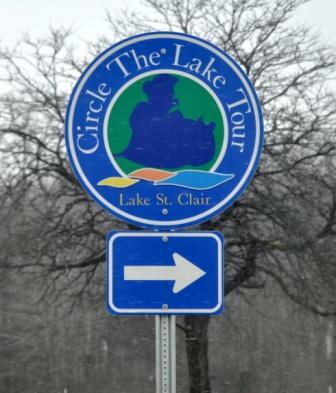 Visit TourLakeStClair.org for more information and keep a look out for Circle the Lake Tour Signage to begin appearing around Macomb County. One of the goals of the Land and Water Resources division is to increase awareness of the natural assets the County possesses. By creating a Blue Way Water Trail along the Clinton River, Macomb County has created opportunities to publicize and increase access to the river. To boost tourism and use of the river, one of the objectives of the Blue Economy Initiative is to make the Clinton River more navigable by removing large woody debris. There are also plans to install kayak lockers, increase the number of kayak launch sites, and install way finding signage and interpretive kiosks. In addition, by promoting sound riparian land management practices, the establishment of a Blue Way Water Trail will present many opportunities to educate the public about their role in protecting water quality and wildlife habitat. Click here to view Blue Way Water Trail Map. The Lake St. Clair Coastal Paddling Trail Map is a graphic rendition of what paddlers might experience on Lake St. Clair. 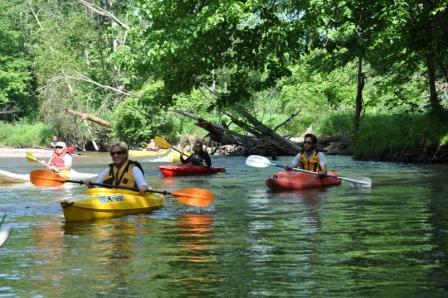 The map provides great “suggested day tips” that explore one of the nation’s greatest recreational waterways. The publication was produced with funding from a Michigan Sea Grant Coastal Community Development Grant. The map provides paddlers with launch site locations and safe landing areas. It also shows which areas have parking, dining, historical, cultural and natural features. The map informs paddlers on the weather and wake size they may experience, safety tips and information on crossing into Canadian waters. Visit the Michigan Sea Grant website or click on a PDF version of the map for more information. If you would like hard copy versions of the map contact the Planning and Economic Development department. The wetlands at Lake St. Clair Metropark represent one of the last opportunities to restore coastal wetlands on a landscape scale in a highly urbanized region of the Great Lakes. The Great Lakes Restoration Initiative provided approximately $1.5 million to restore this gem along the coastal area of Lake St. Clair. This project entails the restoration of nearly 500 acres of coastal wetland, which are currently part of Huron-Clinton Metropolitan Authority’s (HCMA) Lake St. Clair Metropark in Harrison Township. Additional land is currently being sought for purchase by HCMA for inclusion into the project area. The existing wetland within the project area has been degraded not only by phragmites australis invasion, but also by hydrological alteration, including filling and dredging. The purpose of the restoration is to: appropriately restore the wetland to as close to pre-settlement condition as realistically possible, while achieving balanced diversity among open water, transition zones, and upland; appropriately restore the hydrology of the marshland, such that Great Lakes marsh and lake plain prairie can be re-established; educate and reach out to the public on the benefits of wetland, the importance of our coastal wetlands and the invasive species issue facing Lake St. Clair ecosystems; augment current phragmites removal efforts undertaken by HCMA; and preserve and enhance existing habitat for native fauna, especially those that are rare, such as the Eastern Fox Snake. The HEART Freshwater Center is a unique alliance of agencies working together to study the Huron to Erie Corridor through research, education and training. The focus areas of this center include: the St. Clair River, Lake St. Clair, the Detroit River and western Lake Erie. The purpose of this research is to improve the ecosystems of these water bodies and the quality of life for the people who use them. Michigan Department of Natural Resources (MDNR) and the Huron-Clinton Metroparks are planning on spraying part of Metro Beach Metropark, in Harrison Twp for control of phragmites, an invasive wetland grass. The intent of the project is to protect coastal marshes (wetlands) within the St. Clair watershed through the control of common reed, or phragmites. Treatment includes aerial and ground application of herbicide, followed by either prescribed burning or mowing. 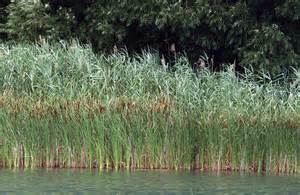 Please visit Macomb County’s Public Health website for more information or view Phragmites FAQ. The James B. and Anne V. Nicholson Nature Center and Conservation Easement is a 33 acre easement located along a 1 mile stretch of the North Branch of the Clinton River in Clinton Township. The property is owned by the county and was donated, along with $150,000, from the Nicholson family to plan the conservation, restoration, and development of an “Environmental Education Center”. The county received another grant of $205,000 from the Michigan Natural Resources Trust Fund program to develop an outdoor classroom, nature trails, a universally accessible restroom facility and outdoor amphitheater with seating. Community groups and schools will be able to use the area for environmental education. Located within a floodplain, the nature center is an area rich in flora and is home to many animals not commonly seen in urban areas. The grant will also fund a wildlife and fish habitat restoration project along a 250-foot stretch of the stream bank and restore a 3-acre seasonal wooded wetland. 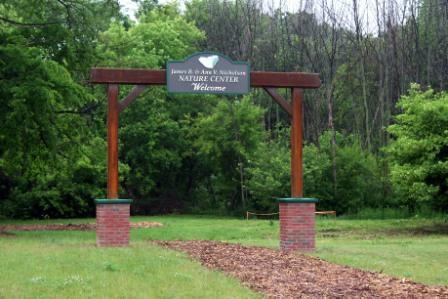 The entrance to the James B. and Ann V. Nicholson Nature Center and Floodplain Conservation Easement is located behind the Macomb County Public Works Office, 21777 Dunham Road, at North Rose, in Clinton Township.